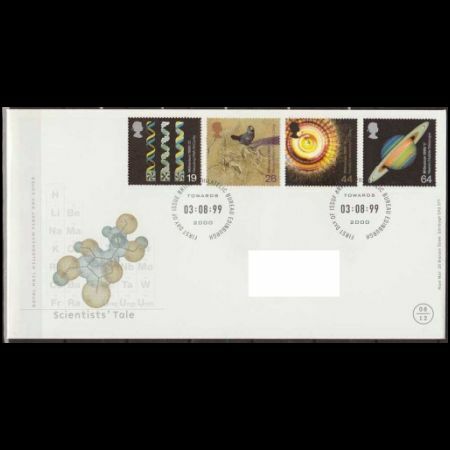 United Kingdom 1999 "Scientists' Tale"
64p - a tribute to Isaac Newton and shows a photograph taken by the Hubble Space Telescope. 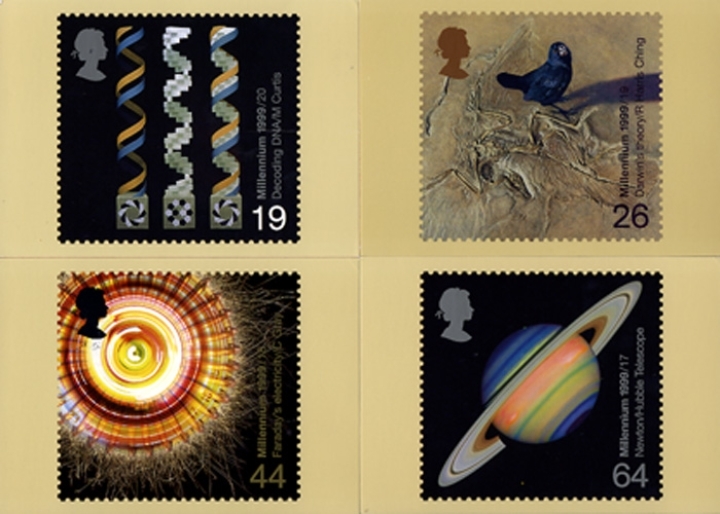 The achievements of Britain's greatest scientists are being commemorated by a set of stamps issues in August 1999. 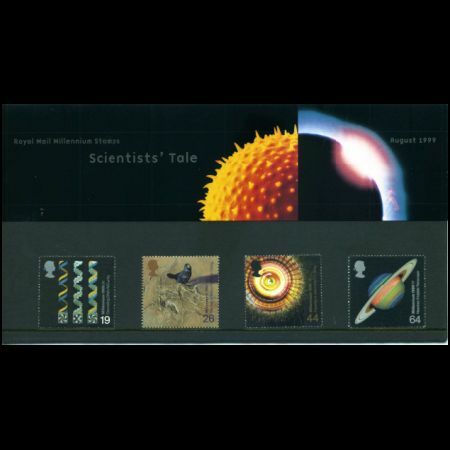 Isaac Newton, Michael Faraday, Charles Darwin and the biologists Crick and Watson are the inspiration for the Scientists' Tale collection - part of the Royal Mail's Millennium Collection marking 1,000 years of British achievements. 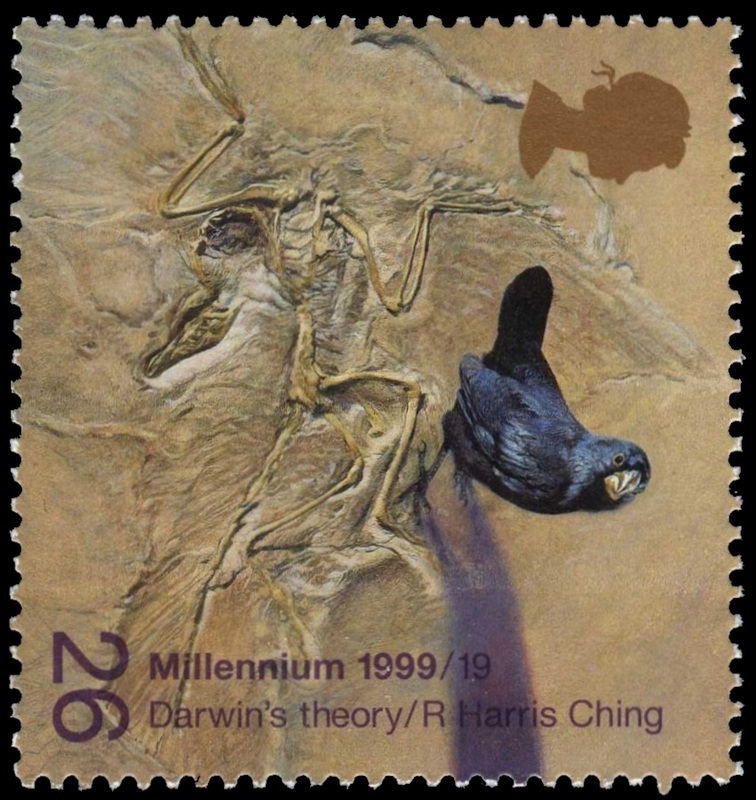 One of these stamps ,dedicated to evolution theory of Charles Darwin and shows fossil of Archaeopteryx. Understanding the great complexities of nature has intrigued scientists for centuries. Newton showed the power of mathematics and anlalysis in explaining the world. He teduce all that was known about the orbits of the planets to a single law of nature which could predict their position in future. 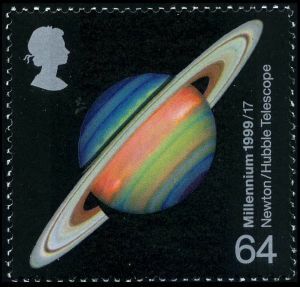 In the mere ten generations since Newton's time the scientific project has gained momentum and success in expaining the workings of life and the universe, from human evolution to the shape a fern adopts as it grows, from how galaxies form to the symmetry of a snowflake crystal Albert Einstein thought Newton the greatest scientist who had ever lived. Sir Isaac Newton (1642-1727) was responsible for major advances in fields as diverse as mathematics, physics and optics. He formulated the laws of gravity to explain the positions of heavenly bodies, and he perfected the reflecting telescope to observe them more clearly. Newton proved that comets were part of nature, not portents of divine disapproval. The impact of Newton's discoveries extended beyond the scientific world. The poet Keats berated him for explaining a rainbow and lessening its mystery. 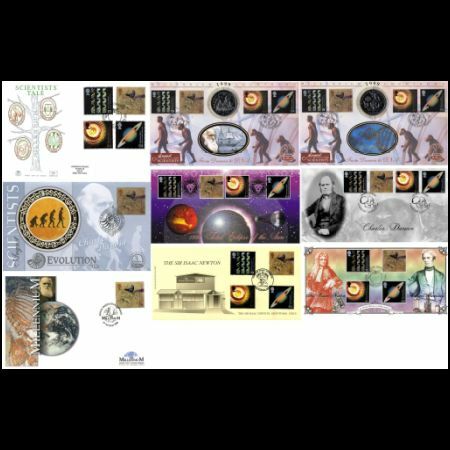 Yet a thriving market developed for scientific explanation, and for popular books which non-scientists could understand. Museums of natural history, public scientific lectures and societies of enthusiastic amateurs were inaugurated. In 1799 the Royal Institution was founded improve life for everybody. It presided over a golden age. Humphry Davy was a brilliant chemist and lecturer there, and in his audience one day in 1812 was a bookbinder' apprentice called Michael Faraday. 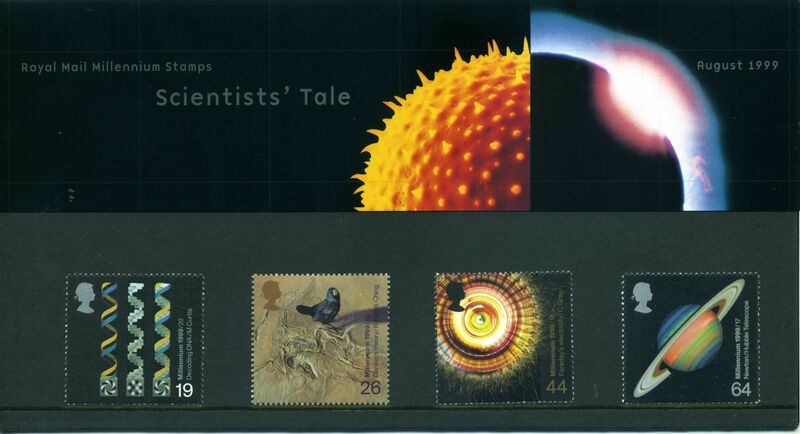 He became Davy's assistant and was later to succeed him to the Chair of Chemistry at the Royal Institution. 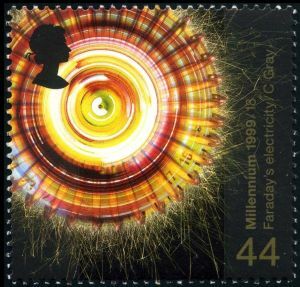 Faraday, one of the first of the modern scientists, discovered the principles of the electric motor and generator. Importantly, he also hit upon the notion of a "field of force" to account for the principles, a concept that is used today to explain what holds everything together from the particles inside an atom to the entire universe. Faraday inaugurated the Royal Institution Christmas Lectures for young people, which are still popular today. Awareness of science is also high when the subject is controversial,as when Charles Darwin published On the Origin of Species (1859), claimed to be second only to the Bible in terms of its impact.Darwin (1809-82) explained how evolution worked and built on observations he made as a naturalist on the survey ship HMS Beagle in the 18305. 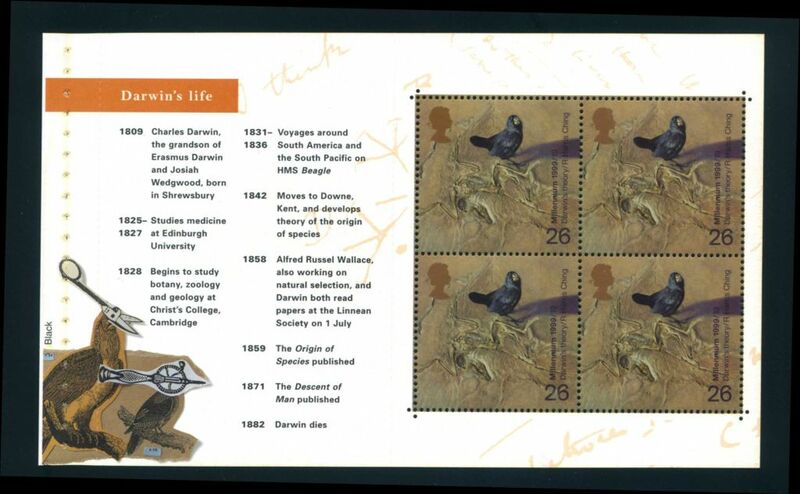 The Beagle's five-year journey around the Pacific provided Darwin with some of the material and insights he needed to construct a tree of life showing how complex creatures arose from simpler ones. 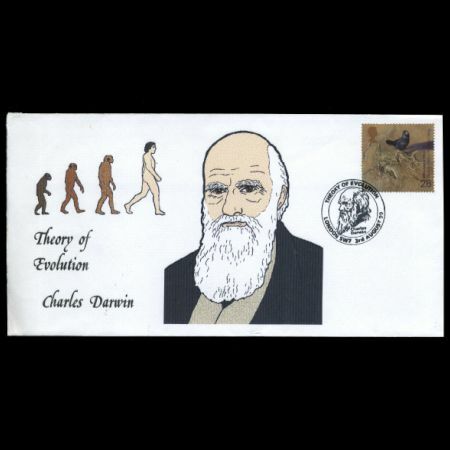 Radically, Darwin included humans in his theory. The book embroiled Darwin in controversy, particularly with the religious establishment, but by the 1870s his views were increasingly accepted. 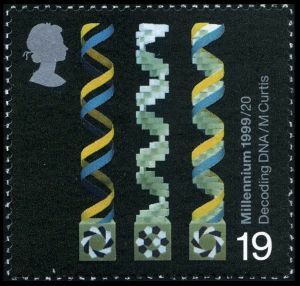 The breakthrough discovery of the structure of deoxyribonucleic acid (DNA), the molecule that carries information from one cell to another, is frequently cited as the discovery of our century.At the Cavendish Laboratory in Cambridge in 1953, Francis Crick and James Watson turned biology upside down with their discovery of the twin-helical structure. 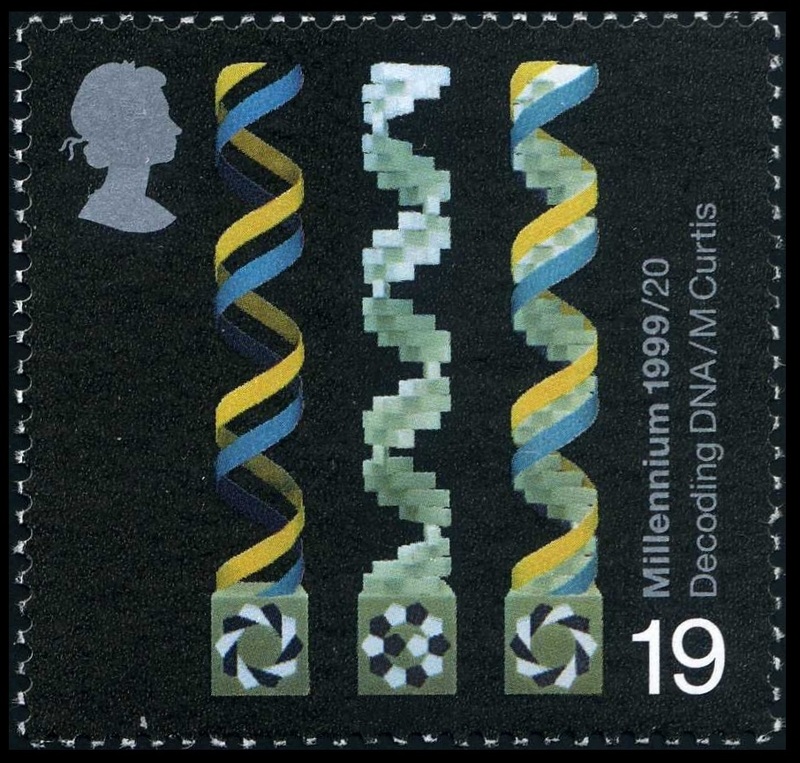 Their insights, combined with the work of Maurice Wilkins and Rosalind Franklin, have propelled us in less than half a century to the world of Dolly the cloned sheep and the Human Genome Project which seeks to map the millions of elements of human gene. 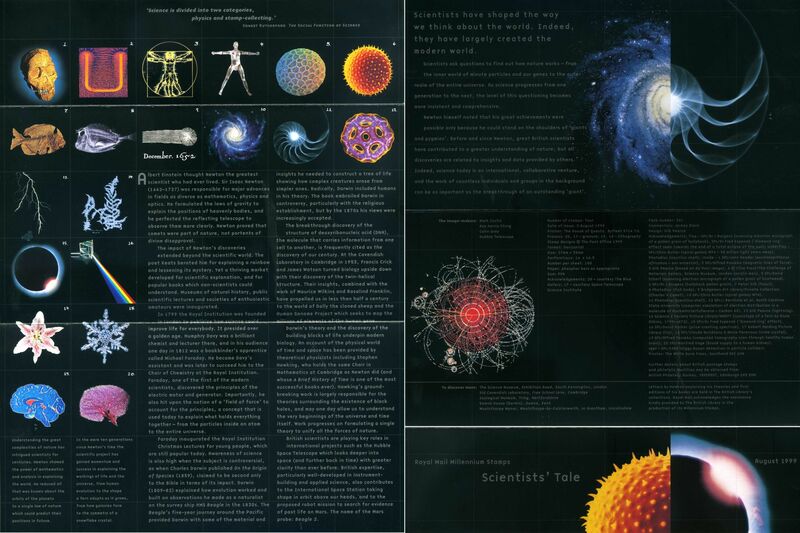 which looks deeper into space (and further back in time) with greater clarity than ever before. 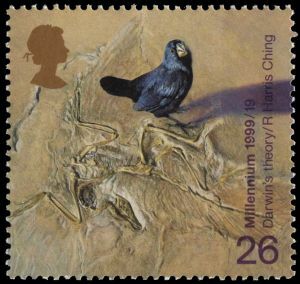 British expertise, particularly well-developed in instrument-building and applied science, also contributes to the Darwin's theory and the discovery of the building blocks of life underpin modern biology. 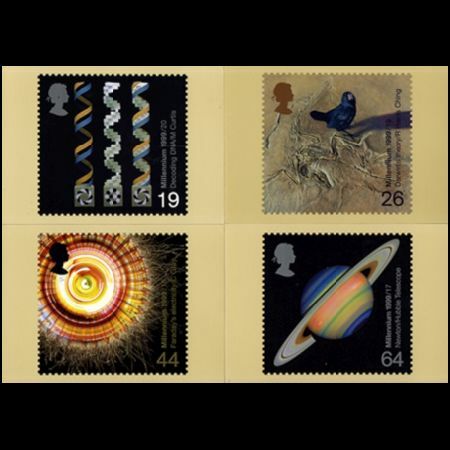 An account of the physical world of time and space has been provided by theoretical physicists including Stephen Hawking, who holds the same Chair in Mathematics at Cambridge as Newton did (and whose A Brief History of Time is one of the most successful books-ever). 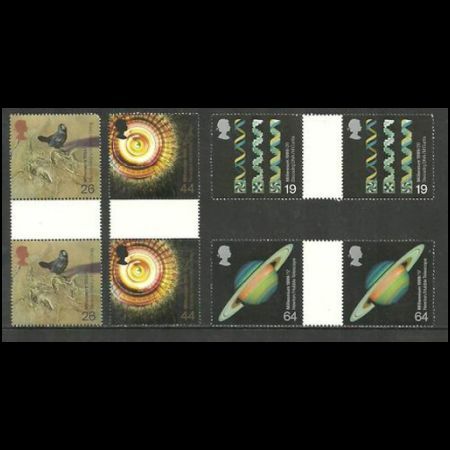 Hawking's ground-breaking work is largely responsible for the theories surrounding the existence of black holes, and may one day allow us to understand the very beginnings of the universe and time itself. 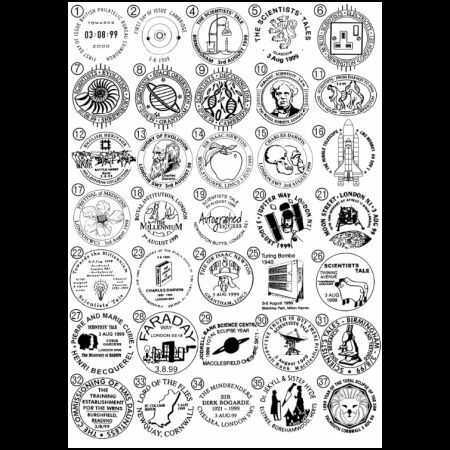 Work progresses on formulating a single theory to unify all the forces of nature. British scientists are playing key roles in international projects such as the Hubble Space TelescopeInternational Space Station taking shape in orbit above our heads, and to the proposed robot mission to search for evidence of past life on Mars. The name of the Mars probe: Beagle 2. 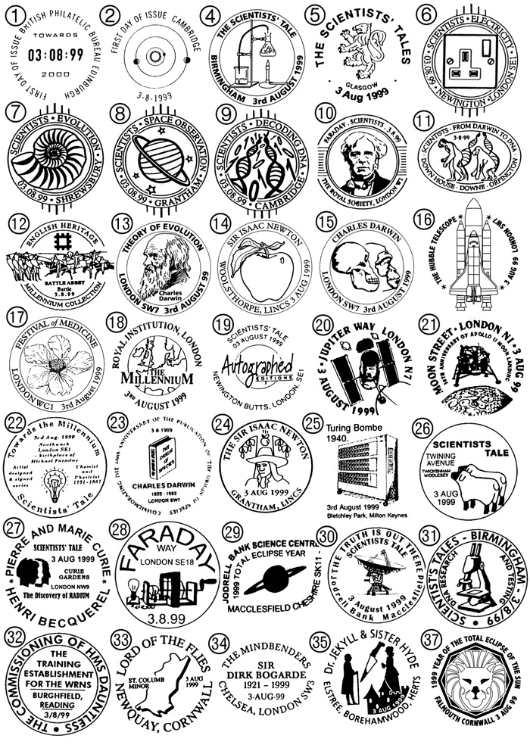 Scientists have shaped the way we think about the world. Indeed, they have largely created the modern word. Scientists ask questions to find out how nature works - from the inner world of minute particles and our genes to the outer realm of the entire universe. As science progresses from one: generation to the next, the level of this questioning becomes more insistent and comprehensive. Newton himself noted that his great achievements were possible only because he could stand on the shoulders giants and pygmies. 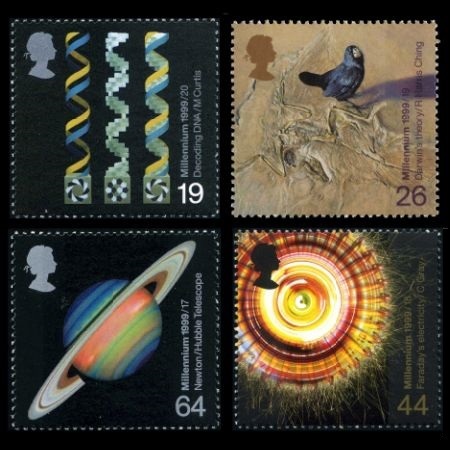 Before and since Newton, great British scientists have contributed to a greater understanding of nature; but all discoveries are related to insights and data provided by others. Indeed, science today is an international, collaborative venture, and the work of countless individuals and groups in the background can be as important as the breakthrough of an outstanding "giant". 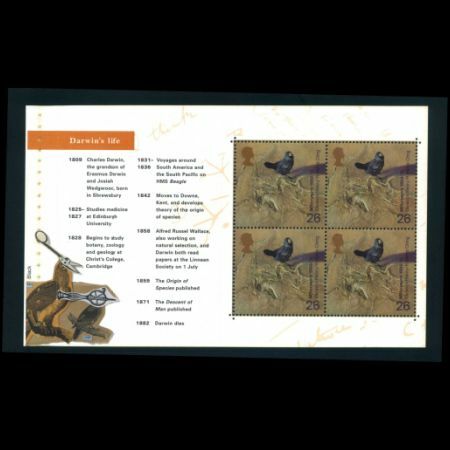 An exhibition of the original artwork used in the stamps, along with the other 12 "tales" which make up the Millennium Collection, has opened at the British Library in London in August 1999. An array of related historical artefacts is also on display. 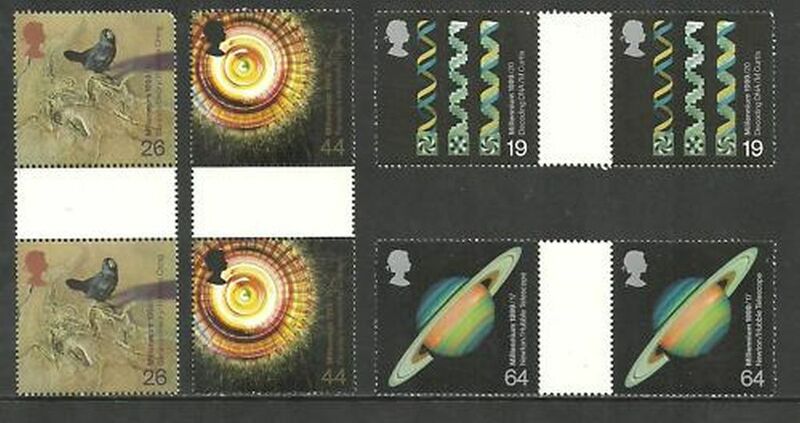 These include an original letter by Newton explaining his theory of gravity and a copy of his 1687 work "Principia Mathematica".